Strong UV demand in the last few years has helped PV sales in the country to clock strong growth figures. NEW DELHI: The dual impact of rising oil prices and the high base of the year-ago period caused passenger vehicle (PV) sales to fall 5.6 per cent to 292,658 units in September 2018 as against 310,041 units sold in September 2017. According to data released by the Society of Indian Automobile Manufacturers (SIAM) on Friday, passenger car sales declined by 5.57 per cent to 197,124 units, while utility vehicle (UV) sales fell by 8.27 per cent to 77,378 units last month. Strong UV demand in the last few years has helped PV sales in the country to clock strong growth figures. However, in the last six months, when fuel prices have consistently gone up, not so fuel-efficient UVs have seen a gradual fall in demand, reflecting that consumers are moving towards fuel-efficient vehicles or are just postponing their purchase. 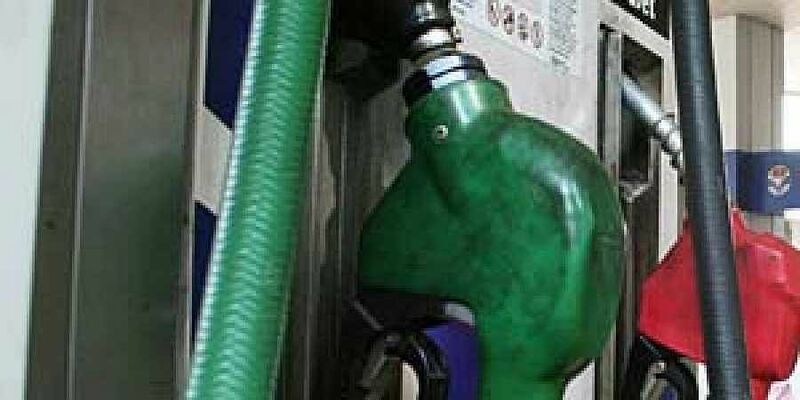 Retail petrol prices have risen 17.7 per cent in Delhi and diesel prices are up 24.99 per cent this year - denting domestic demand for consumer durables and cars.Newly elected SIAM president Rajan Wadhera said that consumer sentiments were down due to rising oil prices and it was pushing sales. He, however, expects the upcoming festive season to bring cheer to the industry. “We expect PV sales to grow in the second half of the financial year on the back of a good festive season and new launches. We expect PV sales to match our growth outlook of 9-11 per cent by the end of the year,” said Wadhera. Overall PV sales in the first half grew by 6.88 per cent to 1,744,305 units. 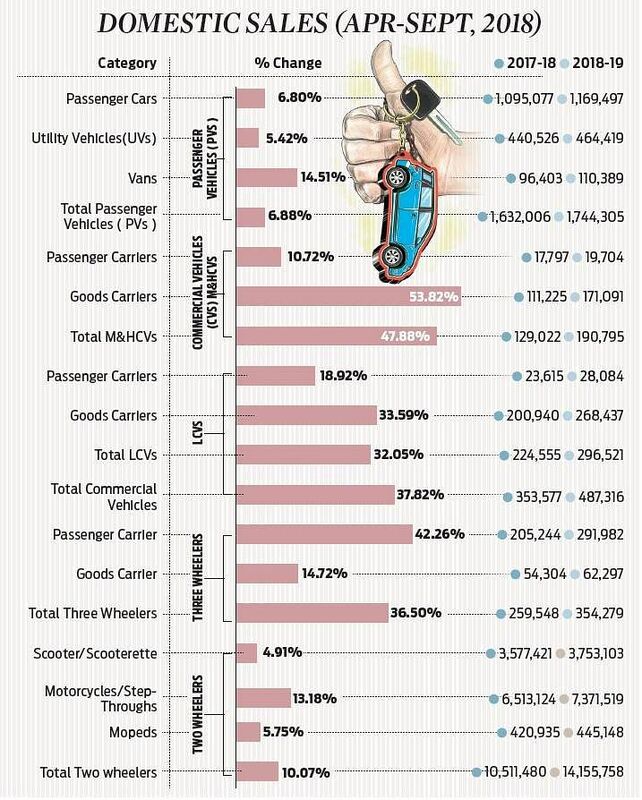 Two-wheeler sales too witnessed a lukewarm growth of 4.12 per cent in September to 2,126,484 units, mainly because of higher insurance costs and West Bengal restrictions that vehicles should be sold only to those holding a driving licence. Commercial vehicles continued its growth momentum, at 24.14 per cent in September to 95,867 units. Overall, the auto industry sales grew by 3.72 per cent to 2,584,096 units last months.